Would you like to navigate loss, grief or any challenging life situation from a more empowered perspective? Melanie courageously shares her story of loss, including the unexpected suicide of her partner, her decade long autoimmune condition, a messy divorce from her first husband, and the surrender of innocence as she gave up her power to so-called enlightened spiritual leaders. Living After Loss guides you through the grief process from the dark nights, to the slow awakening of acceptance; culminating in wisdom and the opportunity to reinvent yourself and live a life of joy, vitality, and peace. Created for spiritual seekers yearning to free themselves of the suffering that can accompany any sort of loss including; a child leaving home, a parent dying, the loss of a job, your pet dying, a forced move, a diagnosis, or the loss of a dream. How to transform your thought patterns and the perspectives that perpetuate suffering. How to free yourself from feeling like a victim of your life circumstances and instead become empowered within it. Practical mindfulness based exercises and tools for moving through loss and supporting the health of your body, naturally. An enlightening, no nonsense spiritual approach to loss and grief. Living After Loss is a beacon of light, a guidebook to assist you in moving beyond surviving to reclaim your life so that you can thrive. 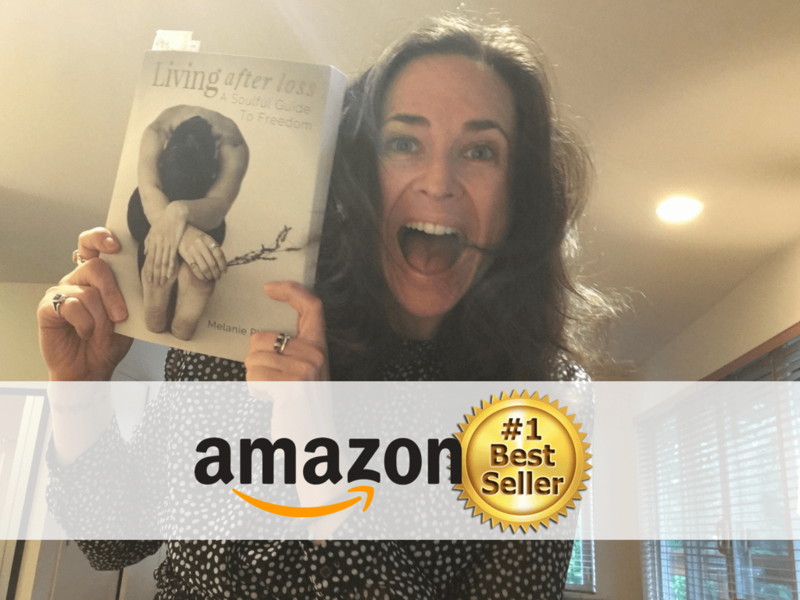 Thank you so much for helping “Living After Loss” become a Bestseller! If you can’t find your local Amazon button above, please go to your countries Amazon page and search for “Living After Loss by Melanie Phillips”. Highly recommend this beautiful read! "Grief is one of those things that we just aren't taught to deal with. Melanie shares her personal story with such intimacy that you will not want to put this down. The best part is that she gives very practical & useful techniques to help us deal with loss. Highly recommend this insightful, beautiful read!" A Powerful, yet practical guide filled with wisdom and strategies! "A Powerful, yet practical guide filled with wisdom and strategies to transcend life's most challenging hardships and losses. Melanie has walked this path and may guide you to reclaim your most authentic self to live with more dignity, purpose and alignment." 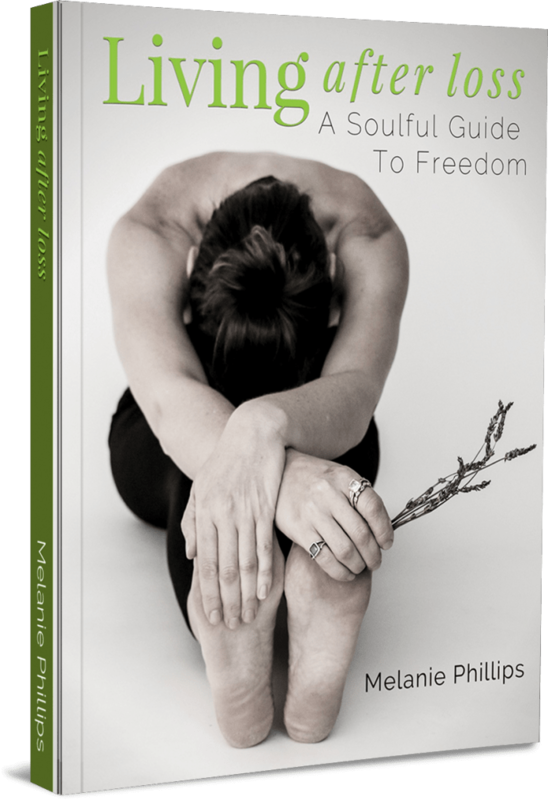 In this compassionate and enlightening book, Melanie shares her profound commitment to living. With her as your guide, you will find a way to dive into the often forgotten landscape of Spirit that can be ready to be awakened and remembered within the world of grief. Melanie is here to remind you that it is possible to reclaim your life and soul amidst the darkest hours of your being. 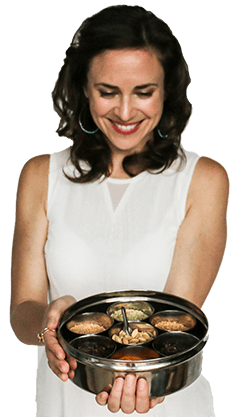 Melanie Phillips (BFA, E-RYT, CAS) is a certified Clinical Ayurvedic Specialist with advanced training under the direction of Dr. Vasant Lad, one of the leading pioneers of Ayurvedic Medicine in North America. Having immersed herself in ashram living and study in India, and having taught since 2000, Melanie’s embodiment of Ayurveda, yoga, and a multitude of energy modalities has earned her excellence in leadership, teaching, and mentorship for those seeking a way home to their intuitive and brilliant nature. Having walked a real and vivid healing path through chronic illness and extraordinary loss, Melanie embraces the philosophy that we can all reemerge from darkness and remember that we are all “the light” in our own lives. Melanie’s empathic and sharply intuitive approach helps clients discover the root cause of their dis-eases and empowers them with wisdom and practices to live vital, light-filled, joy-filled lives. Melanie works out of her practice in Vancouver, British Columbia. 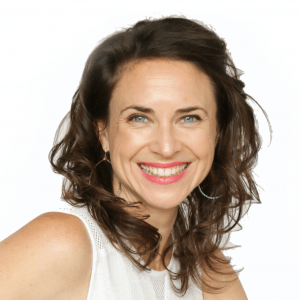 She shares her workshops, retreats, and Ayurveda Yoga Teacher Trainings internationally, and also offers remote Ayurvedic Spiritual Coaching and online trainings.